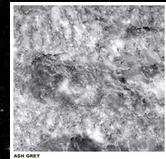 Ash Grey Marble is greatly demanded by the domestic and foreign markets. Featuring with reliable durability, function and beauty, Pakistan Marble is used both outside and inside. You can not miss such a Cheap Marble if you want to effectively satisfy your needs at home or for engineering construction!